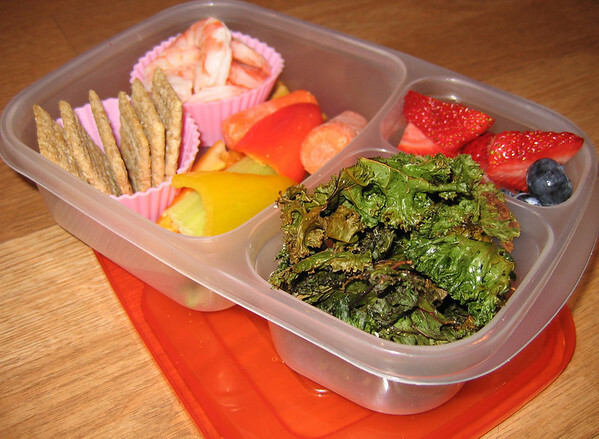 That's not salad - it's KALE CHIPS - so healthy, crunchy, and low calorie! You'll find the recipe on my blog. Served with shrimp, Triscuit crackers, fruit and veggies. Container by EasyLunchboxes.